Our department is constantly looking for motivated candidates for bachelor and master theses. A description of the fields of work and possible projects can be found on the pages of the research and project groups. For inquiries regarding open bachelor, master or internship positions, please contact the respective group leader. 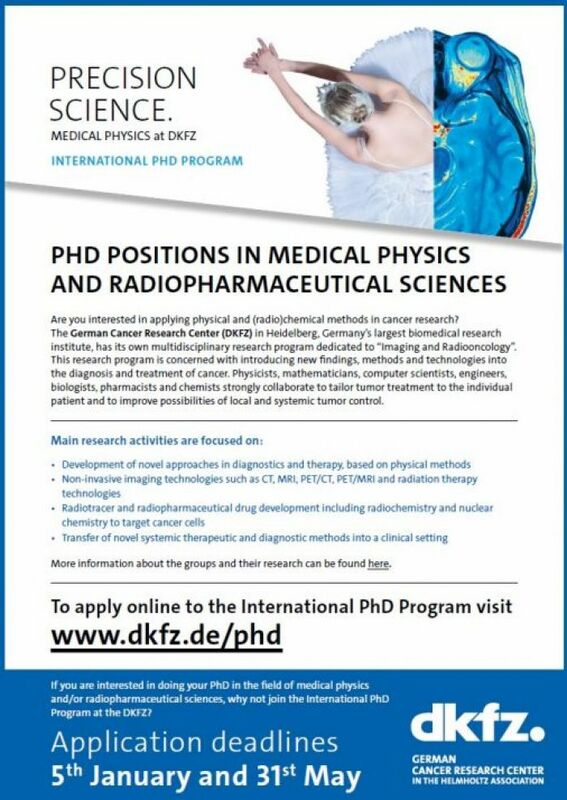 Information on the DKFZ PhD program can be found at www.dkfz.de/en/phd-program and at this URL.